Since several months now, we have a regular guest at our place. He comes in once in a while, say once every 10 days or so. The guest doesn’t demand any special treatment, nor does his he stay for long. He is satisfied with whatever he can lay his hands on 🙂 Yes, he doesn’t wait for the “hosts” to serve him. Today, I managed to take a few photos of him. Take a look. Last Dwadashi, he quietly sneaked in to our kitchen and made away with a bottle of groundnuts. This time, some chana dal we had kept for drying was happily taken. 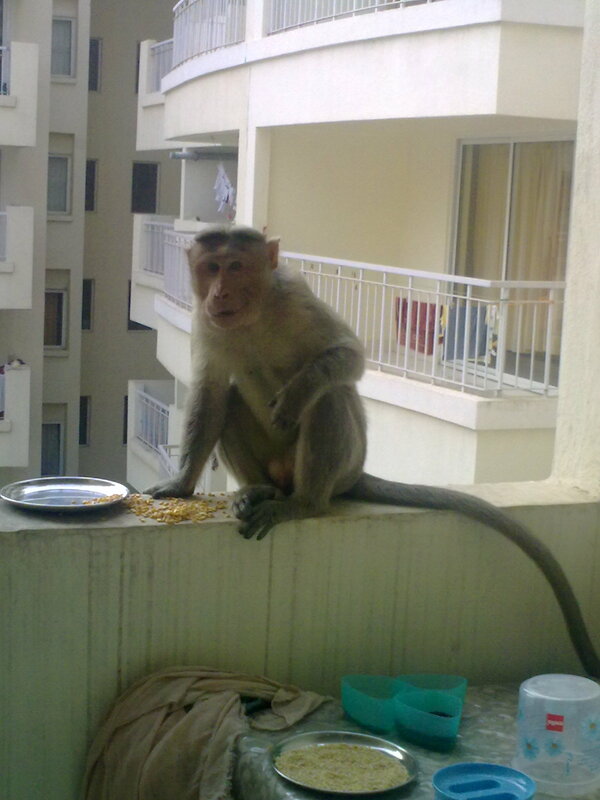 The guy is so particular about his food hygiene that he did not eat any of the dal that got spilled on the balcony. He only ate the stuff present in the plate! 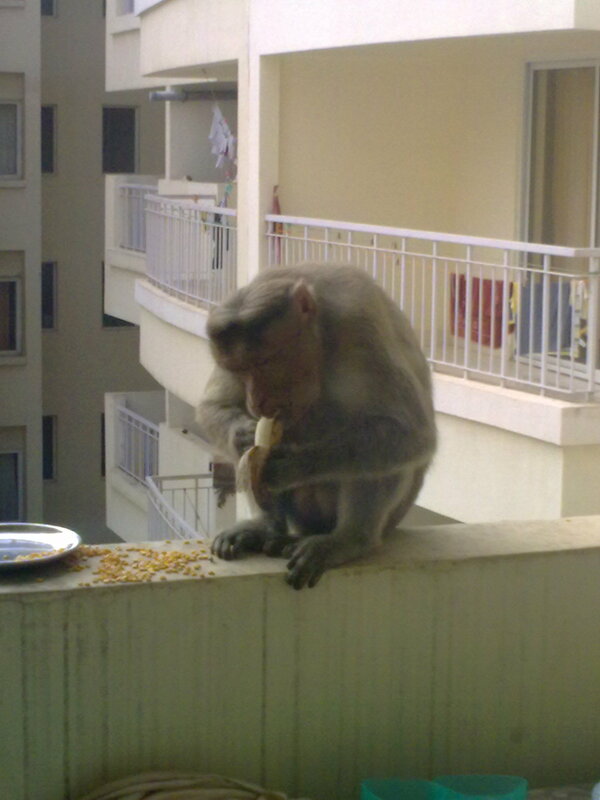 In the end, we also gave him a banana which he very carefully peeled and ate sitting on our balcony perch and then left. Of course, the previous domain – https://anandatirtha.wordpress.com will still continue to work. But the new domain name is the first step towards making my dream of building an organization for service towards the Tattvavada philosophy of Srimadacharya. Travelers may find this useful. Will update this more as and when I figure more distances. All distances approximate. Aati Kalenja is a fast disappearing Tulunadu tradition. It is believed in Tulunadu that the spirit Kalenja comes down to Parashurama Kshetra during the month of Aati (July-Aug : rainy season) to protect people from diseases, as insects and bacteria are bound to be more during this time. A certain section of people belonging to the Nalike tribe dress up as Kalenje, invoke the spirit and go around villages assuring people of good health and in turn collecting some rice, coconut etc.